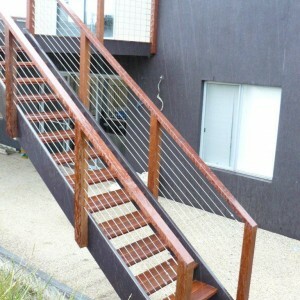 Looking for a local manufacturer and installer of wire balustrades in Geelong? 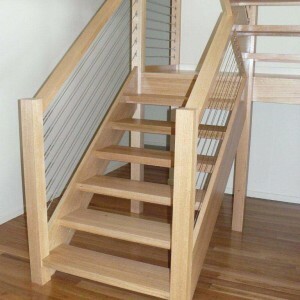 Talk to the team at Coastal Staircases. Wire balustrades have increased in popularity in the interior design of contemporary homes for their open, sleek and uncluttered finish. Limited only by your imagination your wire balustrades can be personalised by choosing horizontal or vertical design and the addition of stringers, uprights and hand railings. 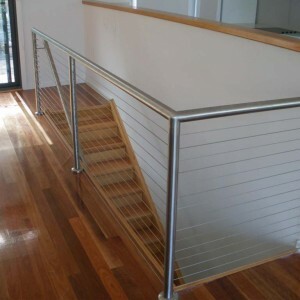 Wire balustrading is versatile, affordable and looks sensational when teamed with timber and stainless steel handrails, steel staircases and other features. 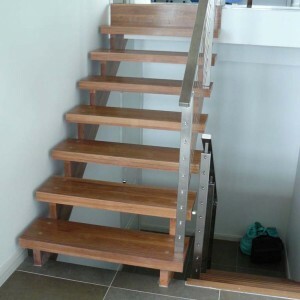 At Coastal Staircases we make our own steel right here at our factory in Geelong so that we can ensure that you get the best quality, manufactured to the highest of standards. Also a spectacular option for external staircases and balconies, wire balustrades won’t compromise your outward view or compromise the style of your home. Come and talk to us about your plans and design ideas, we design, manufacture and install wire balustrades to meet your specifications. Phone us on 03 5248 7000 or complete our online quote request. 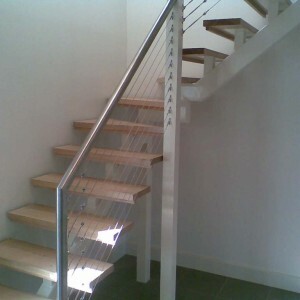 We can also help you with stair railings and glass balustrades in Geelong and district. In case you don’t remember, my wife and I arrived at your shop with a plank of distressed timber we had purchased at Timber Zoo. We wanted it made into a benchtop to use in our bathroom. 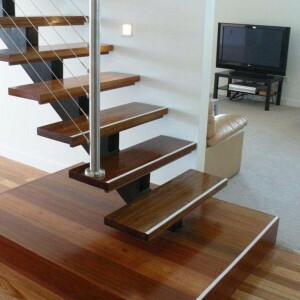 Your staff advised us on the best options to turn our plank into a benchtop. We left it with you, without even asking the price. When you rang and said it was ready I was not prepared for the stunning finished product.